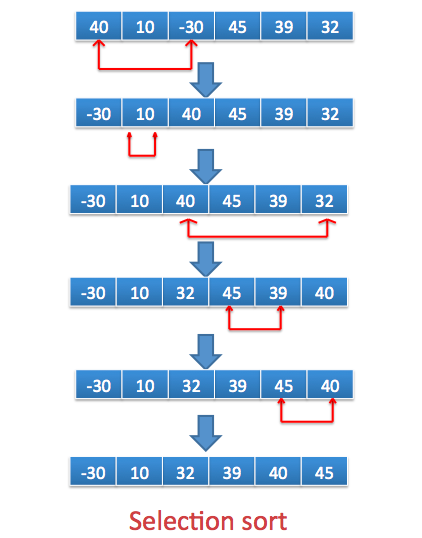 Selection sort is an in place comparison sorting algorithm. It is very simple to implement but it does not go well with large number of inputs. Find the minimum element in the list. Swap minimum element with current element. Repeat the whole process until array is fully sorted.